Note: Our pricing tables are based on USD prices which may have been converted to your currency. Our shipping prices are calculated in real-time based upon the shipping location and the weight of your order. If you would like to estimate shipping charges, put the items you are going to buy into your cart begin checkout to see real-time prices including duties and taxes. We've been shipping internationally for years and here are the answers to the most frequently asked questions. Probably! 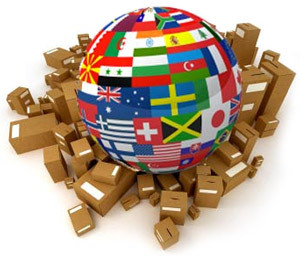 We ship to over 70 countries. View the complete list here. Shipping costs are determined by the destination country, the shipping method you choose, and the weight and size of your package. That's a lot of factors! Luckily, we have a shipping calculator that will provide you costs and estimated delivery timeframes. Do I have to pay customs, duties, or other taxes? Most likely. During checkout, you can choose to prepay those fees. In what currency are your prices listed? Unless otherwise noted, our prices are displayed in US dollars. Nope! We support many local payment options and our checkout system supports most currencies. Yes, all of our shipments are insured against theft, loss, and damage. Claims must be submitted within 90 days of purchase. We cannot ship COD, sorry!